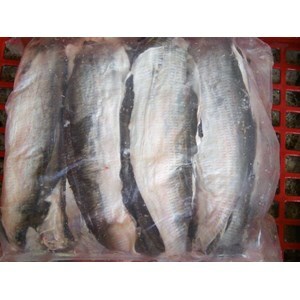 A wide selection of frozen fish skin products is available for you. We Shop Hayati Fresh & Frozen Seafood Sell Frozen Fish Skin. If you need fish skin, please contact us and we will help you to get the best fish products at the best prices. Is it safe to consume fish skin? For example, salmon skin contains the highest concentration of omega-3 fatty acids in fish. There is strong evidence that these fatty acids can reduce triglyceride levels and reduce the chance of heart disease, according to the Mayo Clinic. Cooking fillets with the skin can also maintain nutrients and oil in the salmon itself which may be lost in the preparation process. When the skin is crisp on the grill, it can be delicious and many people enjoy eating it. If you have tried crispy fish skin, you will know that it is impossible to stop at one. Sink your teeth into the deep fried slices and you will go to heaven. Toko Hayati Fresh & Frozen Seafood Sell Frozen Fish Skin, and we make sure that consuming fish skin is not a problem. Frozen Fish and Leather Fish Fillet Patine skin from Hayati Seafood is made from selected raw material, hygienically processed, and packaged properly. So the quality is very awake. The skin of the catfish we sell is in the form of a beam, 1 block weighs 5kg. In addition to affordable prices, catfish skin can be processed into a very tasty and delicious snacks. Stock is available, please order now, we are ready to deliver if you order in large quantity, special area of Jakarta.